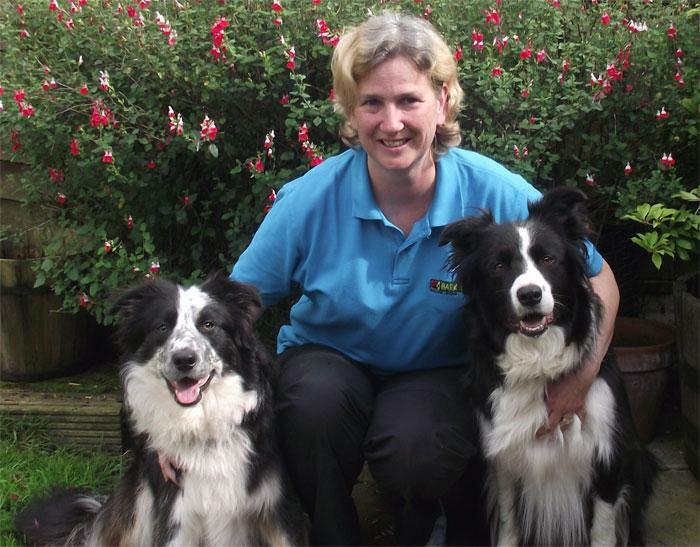 I'm Sharon, your local behaviour therapist for Bark Busters Home Dog Training Wirral. I grew up around dogs and have been involved with dogs all of my life. My first dog, “Pepsi”, was an 8 week old Collie cross who was found as a stray and abandoned. Pepsi was a challenging dog and she barked continuously. I joined a local dog training club to teach general obedience but it didn't really give her the stimulation that she needed. Her obedience did improve but the barking didn't change. I decided to join an agility club and she did really well, so well that we started to enter competitions. I lost Pepsi many years ago and to the very end we really didn't get her barking under control. I think this is what lead me to find out more about dog behaviour. I struggled to understand why she was good with her obedience and agility but never stopped barking. Now, having studied dog behaviour it's clear to see the "why" behind the behaviour. After such a good result in the agility ring with Pepsi, I started to get more involved with agility and eventually went on to become an agility instructor. I reared my next dog "Red" from a puppy and he went on to really enjoy his agility but suffered badly from aggression from an early age which I now know was down to his fearful nature. Red had to retire from agility due to a heart condition he developed later in life. Sadly I lost Red a couple of years ago but I will never forget him and he taught me so much. I'm pictured here with my current dogs "Rafa" and "Wizard". Rafa is a lovely friendly dog to people and dogs alike he competes with me in agility and has won a few things, but we don't always agree on the course. He has previously competed in flyball as well, which he really enjoyed but we don't currently have time to do both and I prefer agility. In our spare time we are Pets as Therapy volunteers as due to his brilliant temperament he is a registered Pets As Therapy dog. We currently visit a local school as part of the Read2dogs scheme and all the kids love him, as do the teachers. I'm really proud of him for all his achievements. Wizard is my youngster and as such he is still learning, but his training is coming along nicely and he has started to compete at agility and has already had some successes. He is slightly more reserved then Rafa, but once he gets to know you he will be your friend for life. I continue to instruct agility and help others and their dogs to enjoy the rewards that come from the human / canine bond. I've learned so much over the years and through my time with Bark Busters, about how important it is to communicate to your dog in a way they understand. Finding the answer to the problem behaviour comes from finding out why the behaviour is happening in the first place. I really love meeting all of the people and passing on all of the information they need to fix their dog's problems. Let me show you how you can take back the control and experience the joy of owning a happy dog. My training is conducted on a one to one basis in your home. This means your dog will learn more quickly as he's relaxed in his own environment. I deal with all kinds of problems from barking, pulling, jumping, and mouthing to aggression, separation anxiety, sibling rivalry and much more. Our non-physical, gentle and kind methods use the same communication that dogs follow naturally, body language and voice control. 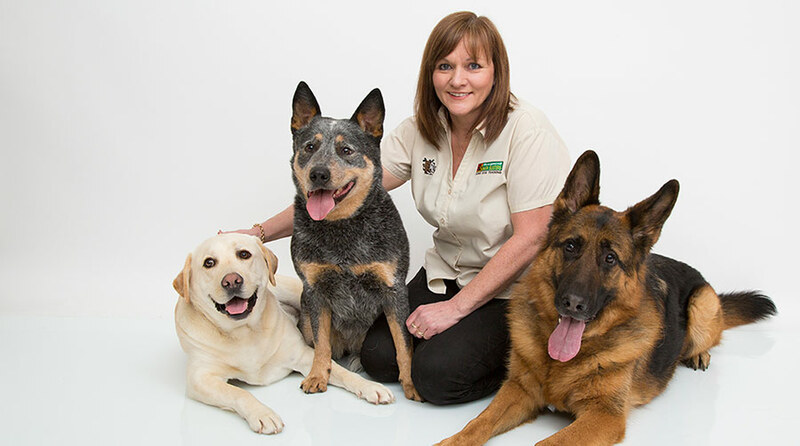 Let me help you to bring the best out of your dog. I return free of charge until you're happy that the problem is fixed. Not only that, if your dog develops a different problem it's all covered on the guarantee too, at no additional cost.